The Guide to Emergency Preparedness™ will help keep your staff prepared for emergency situations such as bomb threats, fire emergencies, child abduction and system failures. Because it is completely customized, the Emergency Preparedness Guide allows you to convey information specific to your safety policies and emergency procedures. And, because of the product's unique appearance, employees will have no trouble locating the Guide in urgent situations. This unique information system provides instant access to your emergency preparedness program. 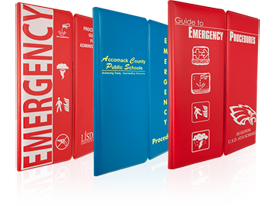 Your Emergency Preparedness Guide will be THE answer book for responding appropriately and efficiently during an emergency. 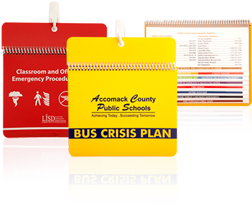 The guide brings all of your emergency information together in one easy to manage system – regulatory compliance, emergency response plan, student/teacher safety and staff education. 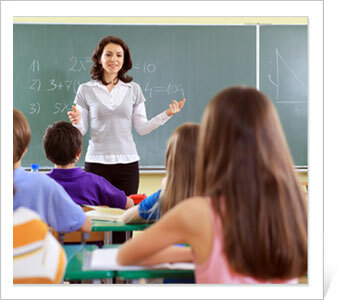 Text templates are available for quick implementation. Our team of graphics coordinators will help with a design and layout that is customized for your facility and your emergency preparedness program.